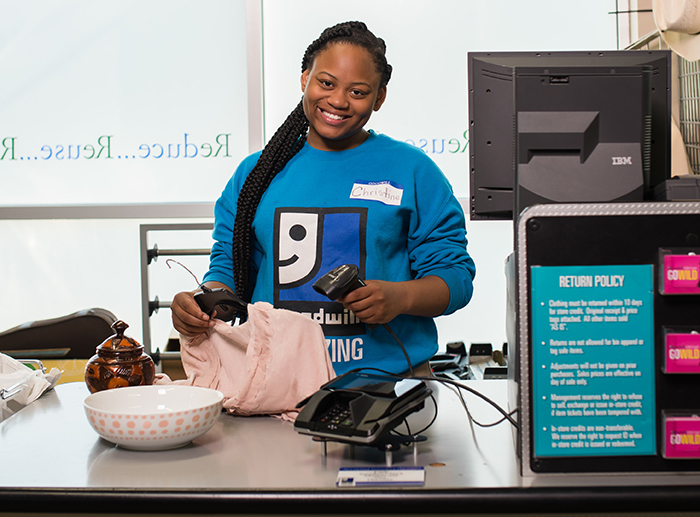 At Goodwill it's our goal to provide value-priced, new and used quality items for sale to our customers. The proceeds generated from these items allows us to provide skill development, training, and job placement for the people we serve. We will issue a store credit for clothing and other items within 10 days of the purchase. The original receipt and price tags must be attached. Adjustments will not be given on prior purchases. Sales prices are effective on day of sale only. If an item's ticket has been tampered with, we may not issue an in-store credit. In-store credits are non-transferable. We may request ID when in-store credit is issued or redeemed.